ABBOTT MOTORS, An exceptional car buying Experience, is offering this exceptional vehicle for sale. ABBOTT MOTORS has over 50 years of automotive experience! We are also a CARFAX Advantage Dealer. We offer great deals and specialize in FINANCING FOR EVERYONE-ALL CREDIT APPS ACCEPTED! We look forward to helping you purchase your next vehicle. CALL or TEXT (716) 229-5711 for quick answers to your questions about this vehicle. Your message will be answered by a real human never an automated system Drive home in your new pre-owned vehicle with the knowledge you're fully backed by the CARFAX Buyback Guarantee. This well-maintained Nissan Versa Sedan SV comes complete with a CARFAX one-owner history report. The less money you spend at the pump, the more money you'll have to spend on you. So why not consider this wonderfully styled, fuel-efficient Nissan Versa Sedan. Pre-owned doesn't have to mean "used." The clean interior of this Nissan Versa Sedan makes it one of the nicest you'll find. Unexpected repairs happen on all vehicles, but this Nissan Versa Sedan comes with the protection of the manufacturer's warranty. 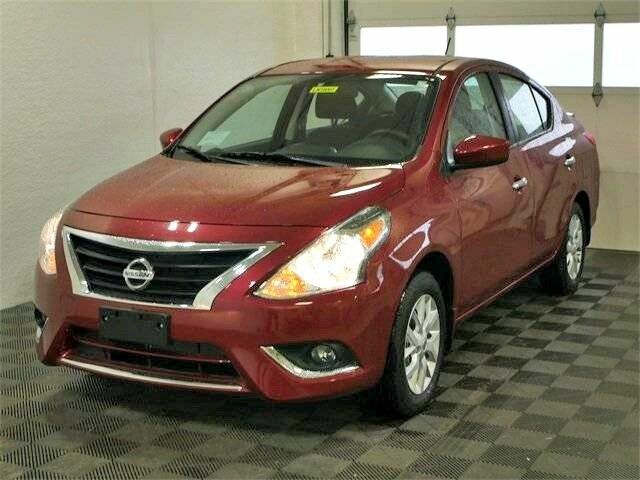 Driver and passengers will celebrate the comfort and convenience this Nissan Versa Sedan offers with its well-considered features. The paint on this car has no serious defects, blemishes, scratches or scrapes. Amazing wheels help set this Nissan Versa Sedan apart from other vehicles like it. STOP IN TODAY or Apply Online 24/7 at Abbottmotors.com ... All Trade-ins Welcome... Same Day Delivery... Call or Text Today and See The Difference... We Look Forward to Serving You! !This vehicle may be subject to potential open recall(s). Vehicle recall information may be found at Safecar.gov. Please verify price, equipment, options and features with your sales rep before your purchase. We Look Forward to Serving You. *Tax, title, plates extra. All Financing On Approved Credit. BBB accredited A+ member.